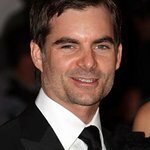 Four-time NASCAR Cup Series champion Jeff Gordon will run a special paint scheme “designed” by 3-year old daughter Ella at Atlanta Motor Speedway on September 5. Ella – with the assistance of some finishing touches by NASCAR’s first officially licensed artist Sam Bass — created the design for “My Papa’s Car.” The design will also feature the new logo of the newly renamed Jeff Gordon Children's Foundation (formerly the Jeff Gordon Foundation). The Jeff Gordon Children’s Foundation was established as a non-profit 501 ©(3) organization in 1999 by the four-time NASCAR Cup Series champion. The Foundation supports children battling cancer by funding programs that improve patients’ quality of life, treatment programs that increase survivorship and pediatric medical research dedicated to finding a cure. The Foundation also supports the Jeff Gordon Children’s Hospital in Concord, NC, which serves children in the community by providing a high level of primary and specialty pediatric care. We are proud to support a quality healthcare facility dedicated to compassionate care and medical excellence for children. The car design and die cast purchase information can be viewed here.